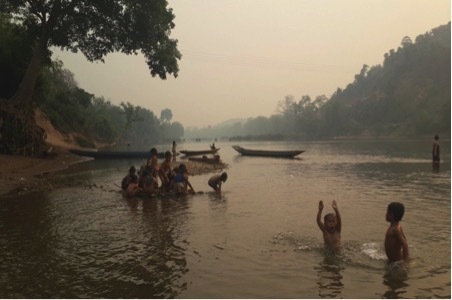 Green Laos Community Volunteer (GLC) is a community-based project. We are a team of researchers from different ethnic groups, including Khmu, Tai Daeng, Tai Lao. Our group was born in mid 2009. 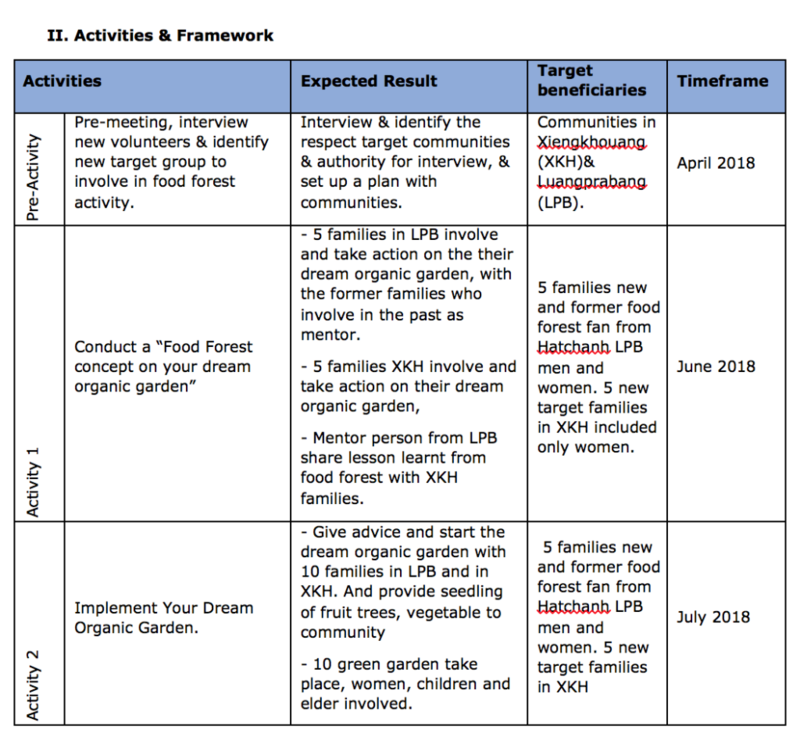 We provide capacity building on 1) Food Forest in the organic concept, 2) Story telling (Filmmaking – documentary style, short film), 3) How to do research on impacts of large-scale development project. We conduct community-based research, and make documentaries about local environmental issues, raising awareness on the impacts from large-scale development project such as, hydropower dams, mono plantation and chemical supply on agriculture. We also educate young people about environmental stewardship. 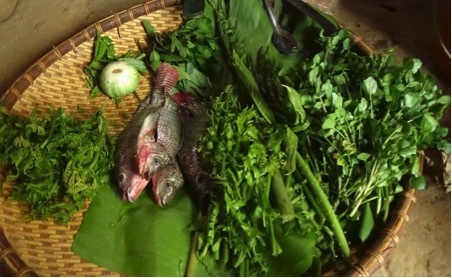 How the local food changes and what the reason behind the scene? Those investments are hidden with legal and illegal and both are consider less about local livelihood, local health and local social changes. Therefore, provide training on contract farming to local communities so that they are aware of the law, feel more confident making a complaint, and know who they can address their complaints to. Provide training on “How to do basic research” to young people and women and set up local knowledge research, storytelling, and photo/video documentation so that community members are also to identify the impacts investments are having on their lives and environment is an important part of this. – To extension the food forest concept to raise awareness of deforestation. – To analyze the state of food security in local communities, what is their next step after find out the negative impacts from such food they consume. 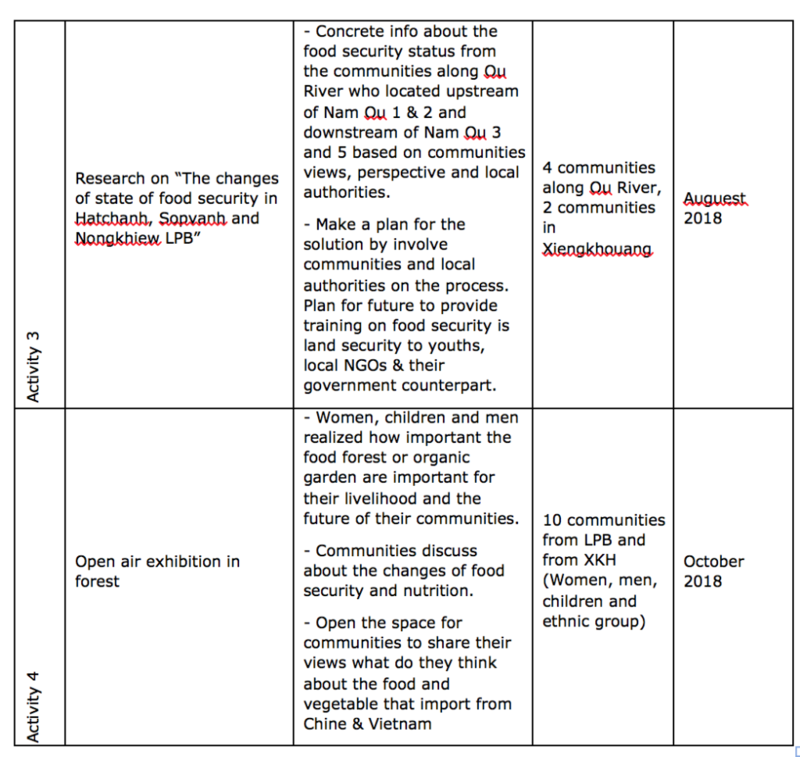 – To brain storm with local communities why the food chin changed, what are the impacts, where do they get most of their food for their daily consumption. – To identify the negative impacts from local communities and raise awareness from local authority and report to the provincial authority for the positive changes in the communities.